Wow. What a great experience. I connected my iPad to my new Surface via USB and some magic happened. 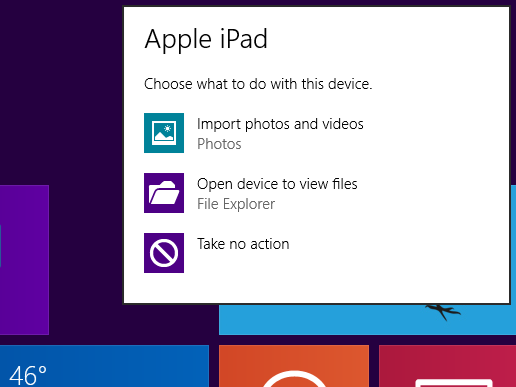 Imagine a Microsoft device making import from an Apple device transparent. And then I selected Open folder. 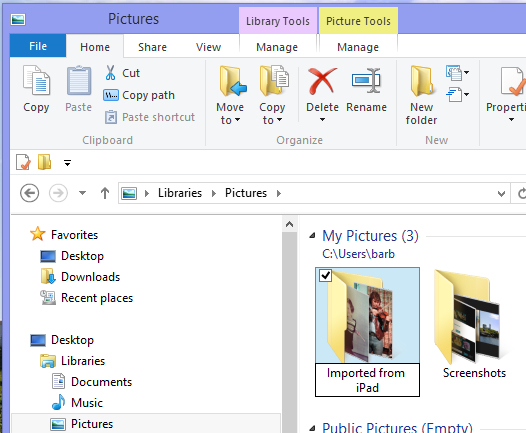 The Pictures Library displayed the imported folder with a date. The date of November 1 turned out to be the last date of the last screen capture I did on my iPad. 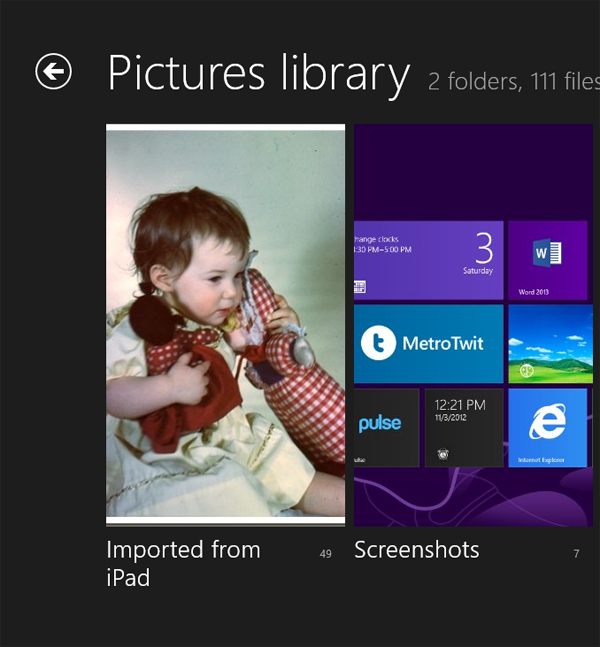 And back in the Photo App, the folder was renamed. Upfront I have to say that I really like my new Surface tablet. I have a desktop with Windows 8 that I’ve been using primarily for development and testing and I found that the modern UI is just not very mouse and keyboard friendly, at least for me. 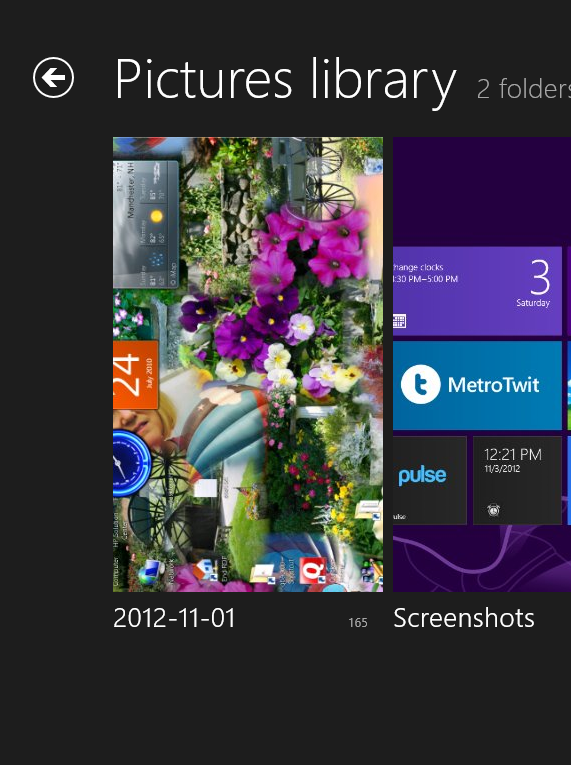 The new Start screen is obviously made for touch users and it’s a perfect marriage of form and function. 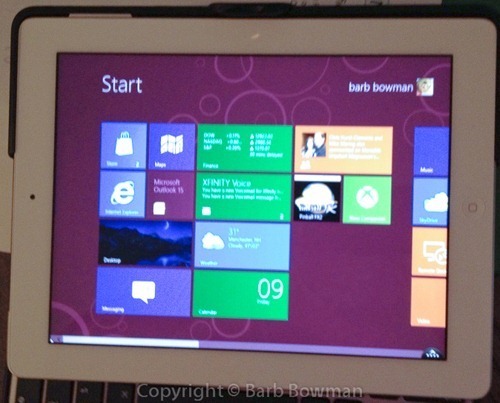 Microsoft uses the terminology fast and fluid and it’s every bit of that and more on Surface. 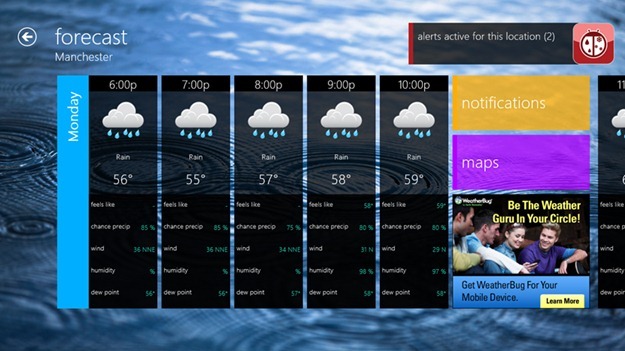 The touch interface on my Surface tablet sometimes reminds me of a kind of Minority Report interface. I like it a lot. It really didn’t take long at all to learn the various swiping and gestures that enable quick navigation on the tablet and it seems natural now, as if I always used it. I love my iPad but the modern interface on my new Surface seems fresh and the live tiles definitely add to my enjoyment and certainly to usability. I love the type keyboard that I bought with my surface. I’m not that crazy about the touch keyboard that came with it. The onscreen virtual keyboard is easy to use and about as good in my opinion as what I became accustomed to on my iPad. As many others have reported and blogged there just are not enough apps in the Windows app store yet. 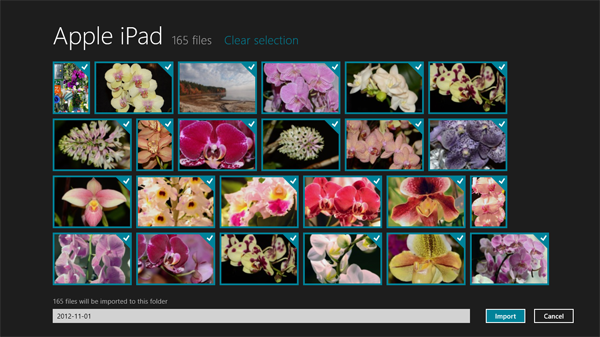 I hope they come soon because apps are the key to success of Surface and I really want it to succeed. I know Microsoft is doing everything possible to encourage developers but the missing big apps like Facebook, Twitter etc. are worrisome. I’ve been using Metro Twit for Twitter but have found some problems with the refresh interval and the developer is looking into this. I have found ways to replace some missing applications by using pinned Internet explorer sites. 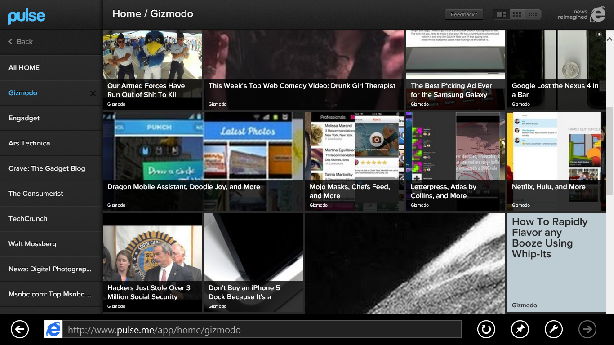 For example, Pulse is an iOS aggregation app that I use frequently on my iPad. 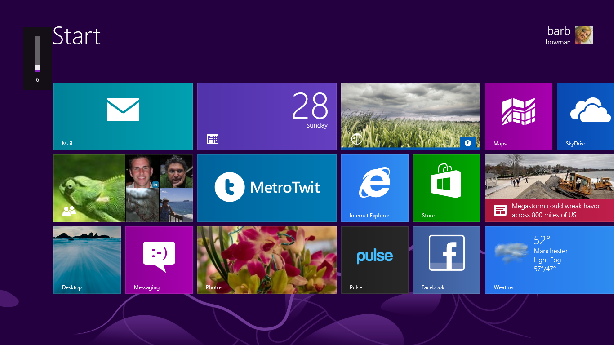 Fortunately the website pulse.me is very touch friendly and works beautifully on my new Surface. I like the People app for many things but it isn’t quite up to par with say a dedicated Facebook app so I pinned Facebook as an Internet Explorer site to the start menu. Pinning sites is a good work around for many of the apps I use on my iPad, but I’d rather have more functional actual apps. There are no banking apps other than Bank of America. Sure, I can visit my bank’s website, but it isn’t quite the same. There aren’t any dictation apps that would equal Siri on the iPad and quite frankly, Intuit, the folks that make Quicken just released companion mobile apps for Quicken 2013. These apps are available for iOS and for Android. This mirrors their mint.com app availability. Unfortunately while you can access mint.com through a web browser there is no way to do the same with your Quicken data. 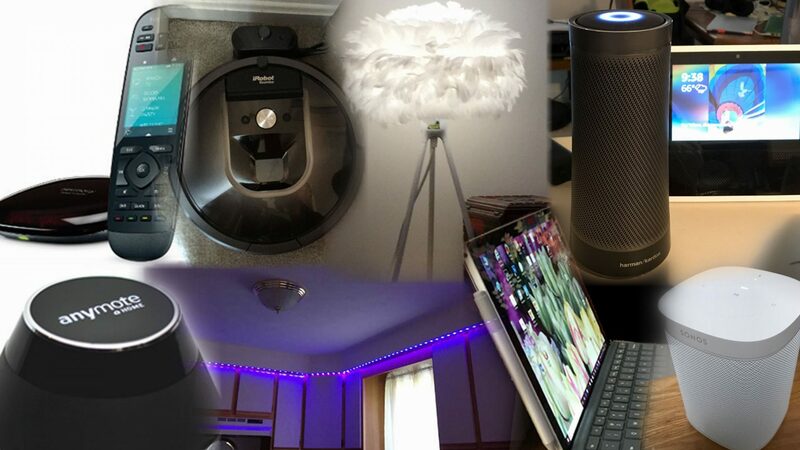 I’ve used the dictation feature a LOT, even to draft blog posts. Logmein has great remote access iOS apps but so far has only offered an app called join.me for Windows 8 which does not offer the same functionality. The same goes for the folks at Splashtop. Yes the remote desktop app is present on Windows 8 including Surface RT but if you have multiple computers that you want to access, you’ll need to do a lot of port forwarding and port changing in the registry if you want to access remotely. The trade-off is that for both Logmein and Splashtop is that you need to have their desktop client installed on each computer that you want to access remotely. Still, being a regular user of these apps, I miss them on Windows RT. The app that disappoints me the most is the Microsoft provided Mail app. It’s terrible, While Microsoft sees the Surface as a consumer device for content consumption, the lack of a decent mail app is quite disturbing. I have read all the explanations why Outlook 2013 could not be included as an RT app but the difference in functionality between the mail app and Outlook is just too big a spread for me. IMAP support in the mail app is horrific and POP3 support is nonexistent. 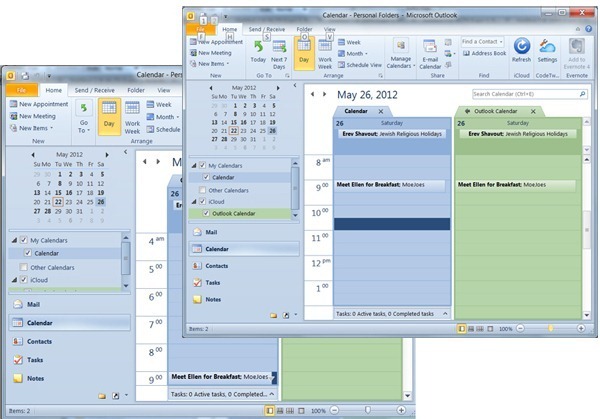 While I am sure Microsoft wants to drive everyone to Outlook.com a.k.a. Hotmail, there are people who use their vanity domains on office 365 or still use their ISPs mail servers. For me, the poor mail app is a showstopper that would prevent replacing my iPad with Surface. Even as a consumer I still need reminders of appointments for doctors and dentists and car service and such. I get reminders and notifications on my iPad but there doesn’t seem to be an analogous function on Surface through the calendar app or anything else. A Windows app that I have depended on for the past several years, Windows Live Writer, which I use for posting to my blogs, is not available as an RT app aka windows store app. I can use the blog template in Word 2013 RT to post to my blog. Unfortunately it is very limited in features and functionality. There isn’t even support for tags. And some functions, such as creating new categories, or even editing an existing post simply do not work for me. I was hoping for better. 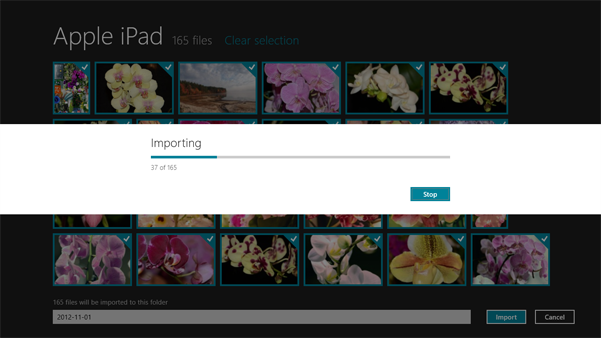 In spite of the shortcomings, I like Surface. I hope Microsoft addresses the shortcomings quickly. They will need to if they want broad acceptance and not just early adopters. I want Surface to succeed. I see the promise. I just want to see the promise delivered, and quickly. Here we are in the middle of a hurricane and I decided to see what the projected wind speeds would be. Turns out that the info on the iPad app from the same vendor is off by 10 mph for projected wind speeds. 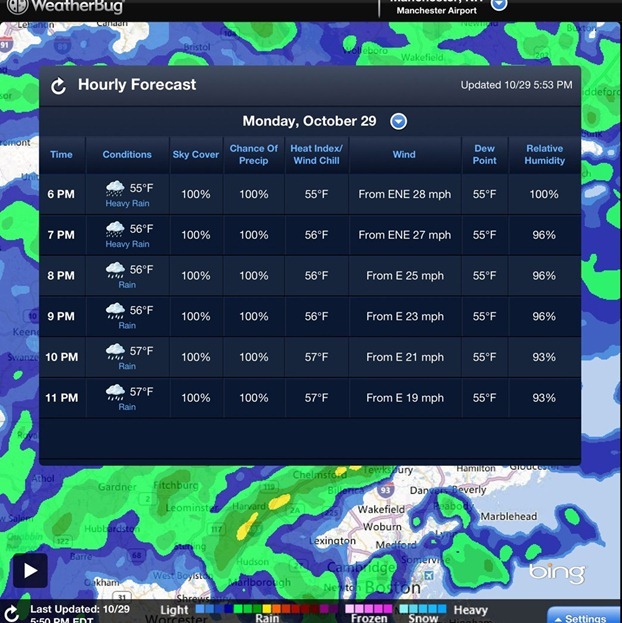 Weatherbug on Windows 8 had the same info as the Weather Channel. Here is the correct one from W8. Here is the one from the iPad where the wind speed forecasts are 10 mph lower and WRONG.